The 7 Best Spots for Wings in North Dakota! 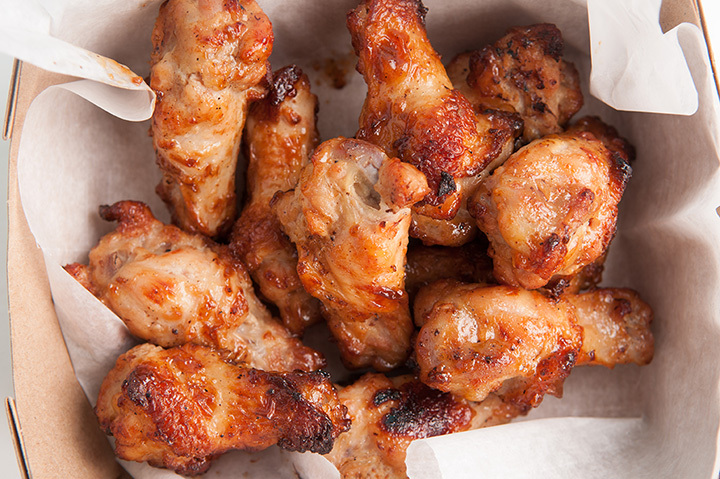 There is something about chicken wings that is as tantalizing as it is addictive. Whether you have a passion for the hot and spicy or a tamer palette built upon tradition, North Dakota doesn’t lack for quality wing joints. If you have a hankering only a wing will fix, check out one of the following restaurants. With 25 homemade wing sauces and rubs, Wild Bill’s has a flavor and a heat for everyone in your group. Traditional, boneless, or skinny wings can be ordered plain, layered over crinkle cut fries, or sprinkled with bacon. Try the Reaper Sauce if you dare. With a motto of “So good it will taste like a sin,” what’s not to like about Buffalo Wings & Rings? With a heat rating of mild to atomic and an award-winning Bourbon barbecue sauce, you’ll be convert in no time. Interested in something new? Try the boneless wings or tenders grilled. Parrots Cay is a bit of a cult favorite in Grand Forks. From the unique atmosphere to the best wings in town, Parrots Cay is worth a stop when in Grand Forks. Serving beer from over 36 taps, the restaurant is home to one of the most intense hot wing challenges you will find. Think Jonny B’s is all about pizza? Think again. And if you have never had wings cooked in a brick oven, you are in for a treat. Traditional or boneless wings are available in twelve sauces, including Nuclear Buffalo. Looking for a place to watch the big game? Who says you can’t have fun while you whet your whistle and fill your belly? Wings are available in a variety of sauces, including Gunslinger Bourbon, teriyaki sweet & spicy plum, and Cattlemen's Gold barbecue. Intrigued? You should be. Another pizza joint that doesn’t let their expertise stop at their pies. Deeks has been serving tantalizing wings alongside its delicious pizza for years. Don’t try one without the other.